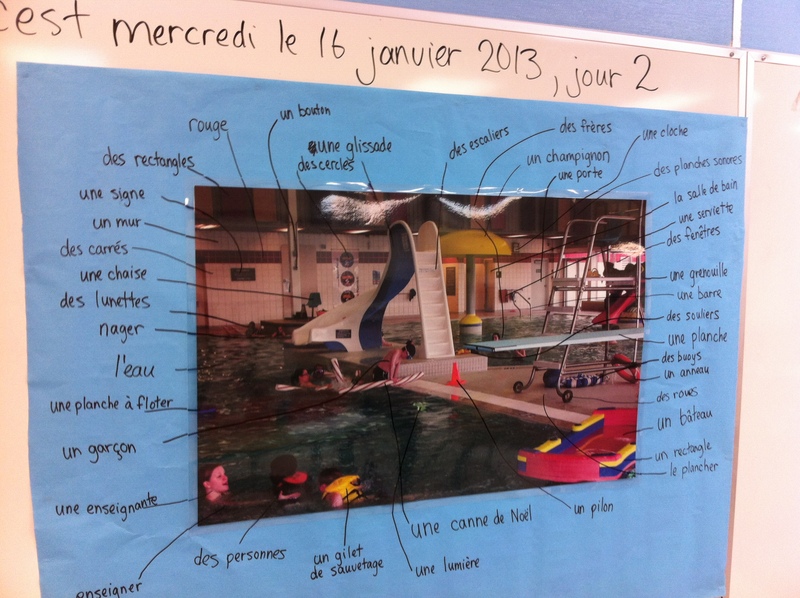 Rebekah has been continuing on without me in her grade 2 French Immersion class and it is so neat to see the progress that her students have made in their PWIM words during my absence! Over the past week, Rebekah’s students have been developing mastery of their words. Every day, they see, say, and spell their words, spelling them out, one letter at a time, with their imaginary pencils on their imaginary paper. At this point, they are very comfortable identifying the words while using the large picture as a reference point. 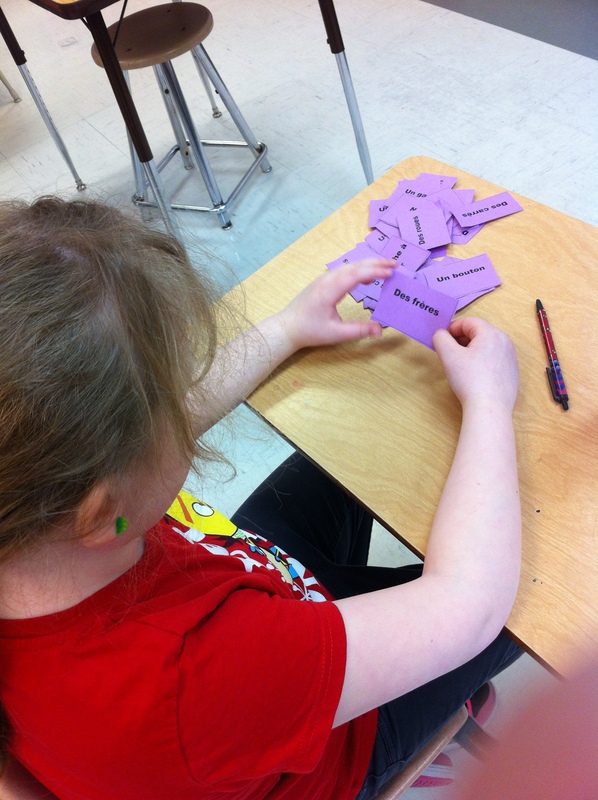 However, Rebekah and her students are moving on to the next part of PWIM – the word cards. 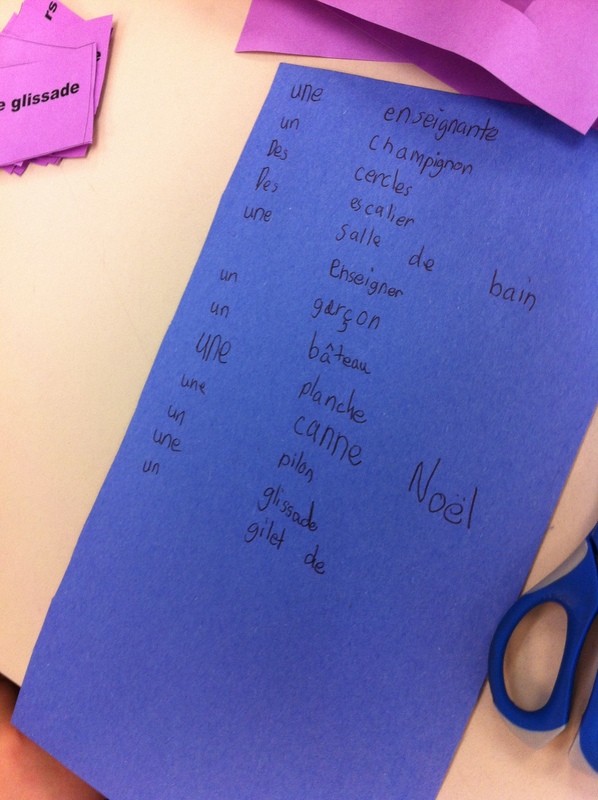 Rebekah created word cards ahead of time for her students. As a second language teacher, especially if one is teaching a language that is not the teacher’s native language, it is important to prepare well in advance as there are always those words that you just can’t think of in the moment! Rebekah pre-selected words in anticipation of the activity and added to the word cards once she saw the words that her students selected. 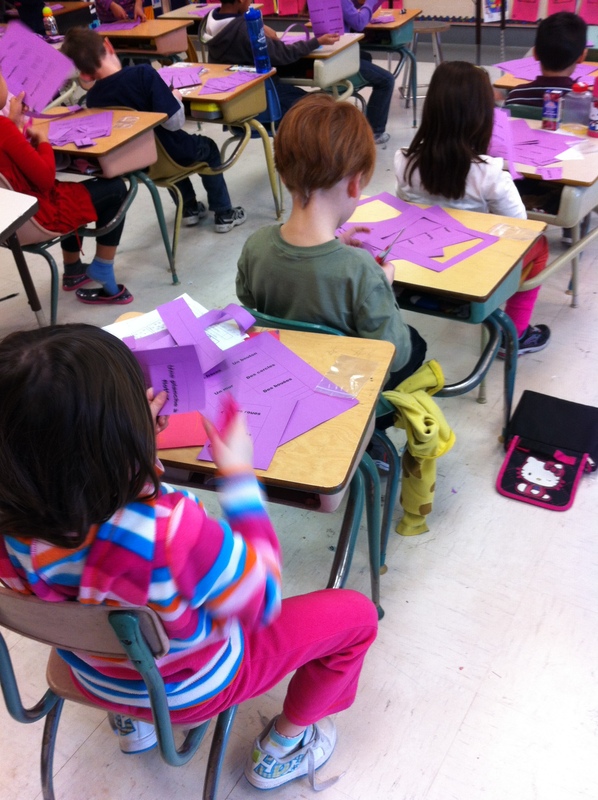 Today, Rebekah’s students cut out their own word cards, and began to go through them. Their task was easy: they were to cut out their own words. Once they had done so, they were to go through each word and try to picture where on the big picture it could be found (making a visual connection). If they were unable to picture it, they could go up to the big picture and match up their word card. 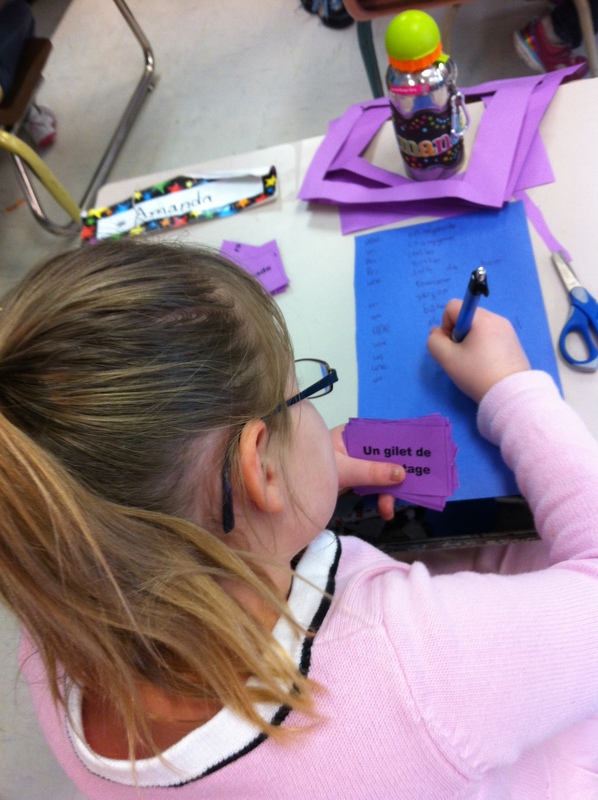 Rebekah differentiated for students by cutting some word cards ahead of time so that students could focus on identifying their words. Once students identified their words, they were to spell each word out, using one of the techniques that Rebekah modeled for her class. Students could spell out the words under their breath, they could imitate writing the word, or they could write out the words. 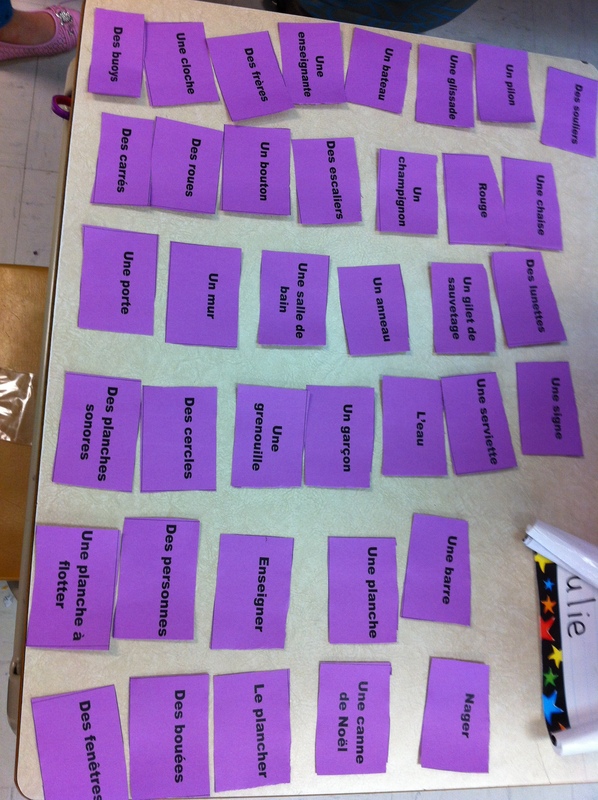 Students chose a variety of strategies depending on what they felt comfortable with. The young lady above, on the right, is going through her words and spelling them out under her breath. The young lady below wrote all of her words out. What interesting things did I see today? 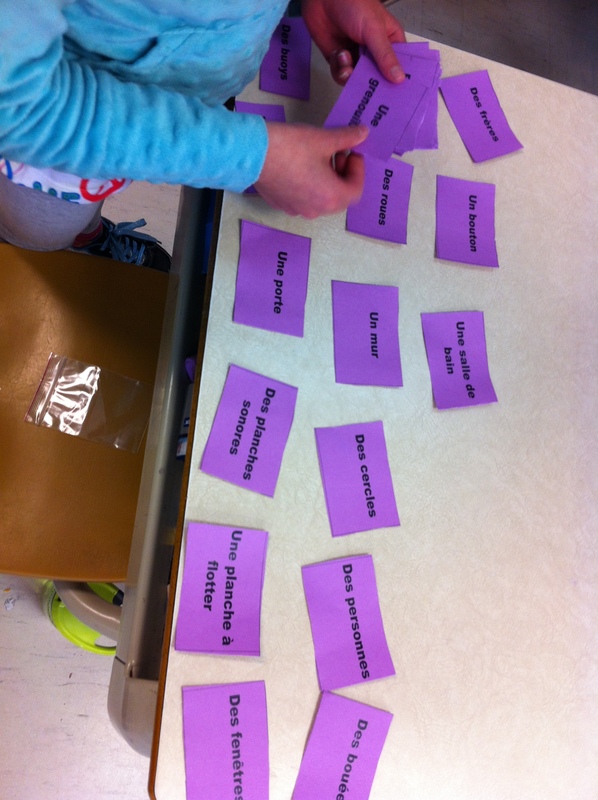 – Students selecting their own method for how to review the spelling in their words. Student choice IS possible in grade two. – Interest and engagement – This was not a long class; students were active as they cut and had some time to sit and focus, but it was not overwhelming. Everyone was on task – again! I believe that this comes in part from the students selecting their own words and remembering this as they look at their word cards. – One young man up at the front (his cards were pre-cut) who spent the entire time matching his words to the words from the picture. Every single student took something from the lesson, even though they didn’t necessarily take the same things. 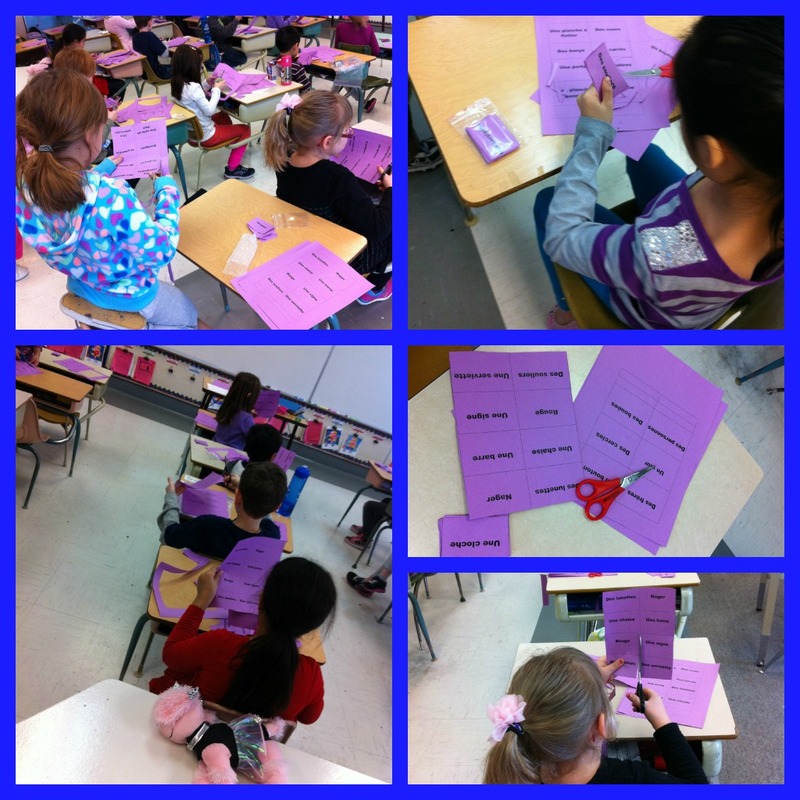 Next up – learning to classify our words! 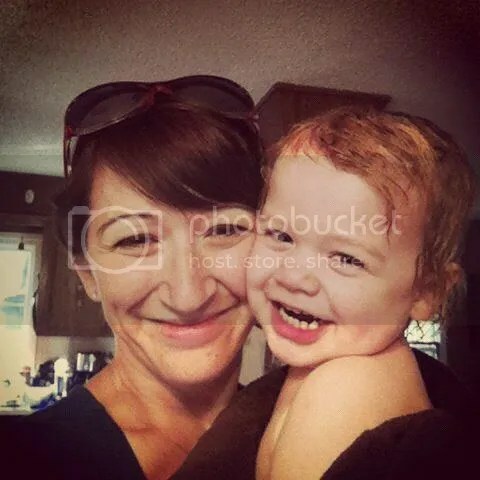 Another great post about PWIM. it is fun seeing the progress. I really appreciated your comment about student choice even in Grade 2. With the right structure and teacher modelling, students can and will make the right learning decisions for themselves. How exciting to see it in action!